Author J.T. 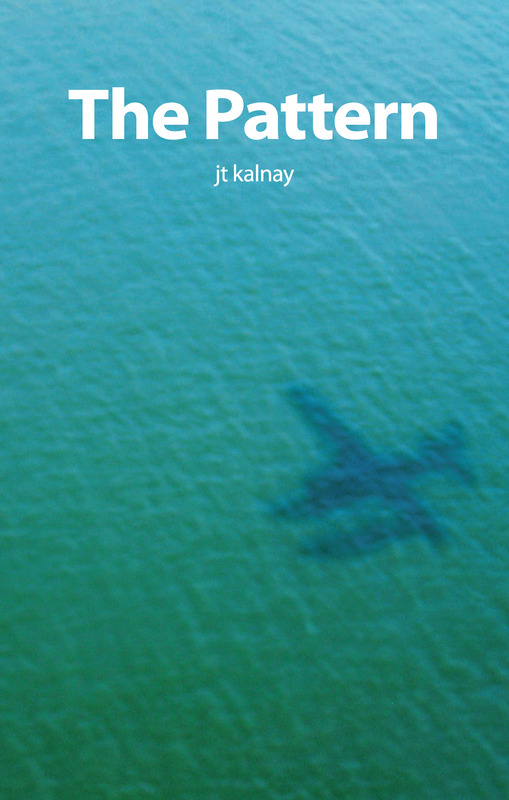 Kalnay has been kind enough to join me this afternoon to answer a few questions about his techno thriller, The Pattern. Has one programming error killed hundreds of people in airplane crashes? A handful of west coast computer geeks know the answer. After reading The Pattern, you will too. Follow auto-pilot programmer Craig Walsh and his beautiful engineer girlfriend Stacey “Jack” Horner as they create, and then confront, a malicious computer virus that seems destined to destroy air travel as we know it. You probably don’t know this, but my husband works for a university flight program. There have been many many mornings that I have watched him fly off in what looks like a tin can of a plane, so the premise of this book terrified me from the get go. But that only made it seem more exciting. When ace programmer and intrepid rock climber Craig Walsh starts to suspect that the unusually high number of recent plane crashes may not be coincidental it sends him and his friends on a cyber hunt that could either save or kill millions. This isn’t a heart pounding action adventure novel. It is more of a slow boil techno thriller, but it never quite settles into a simmer. There is a decent amount of computer jargon thrown about, even a few snippets of actual code (C++ I think). I don’t know anything about coding but wasn’t at all put off by its inclusion. The characters are quite well defined. You can really imagine them hunched over a keyboard in hard wearing Northface or Prana clothing that shows evidence of real world use, carabiners and the somewhat cliche Diet Coke and Doritos close at hand. But it all only served to further crystalize the character type. I really liked the contrasts of the cloistered offices and the majestic outdoors as well as the light romantic elements. The novel hints at being more than just a techno thriller. Though the spiritualist angle is never fully explored, I would have liked to know a little more about Craig’s experiences in this regard. Similarly, there are hints that there may be more to the virus than meets the eye. It would have been an interesting avenue to explore. Overall, The Pattern is an enjoyable read. There is a tenderness to the main character, Craig, that is really appealing and it’s nice to see someone trying to do the right thing. Thank you for being here today. Why don’t you start off telling us a little about yourself and your writing. I’ve been writing since I was a teenager, but only recently started self-publishing under my own name. I had hidden behind a pen-name for quite some time. I like writing about people falling in love and about people facing crises (usually somehow related to computers). I love to read sophisticated romance novels, anything by John Grisham, Tom Clancy, Lee Child, Michael Crichton, Nicholas Sparks, Anita Shreve, and Elizabeth Gaskell. It was a suitable outlet for my hyper-active imagination. That’s a polite way of saying that I am basically full of crap and that the written page is a socially acceptable vehicle for the bs that I’m constantly dreaming up. When I tell people the stories, it’s lying. When I write them down it’s fiction! On writing days (as opposed to day-job days), I get up before everyone and finish the sentence I left unfinished the night before. Then I go until the characters need a break. That’s usually two or three hours. Then I do something physical like walking or playing golf or going to CrossFit. After getting cleaned up and refueled, I sit back down and see where the characters take me. I always try to leave a sentence unfinished on a writing day so that there’s a hook to get me back to the page. There is quite a lot of technical know-how apparent in The Pattern (coding and rock/mountain climbing). Did you have to do a lot of research for this or are these personal passions that were easy to write? I have a graduate degree in computer science and worked in programming, design, and teaching computer programming from 1983 until 1995. So the programming came naturally to me. I did, however, do some research about auto-pilot software and computer viruses because I wasn’t familiar with either of those specific topics. I am a rock climber and mountain walker, so that also came naturally to me. The thunder storm and sprained ankle scenes are frighteningly accurate accounts of an experience I had while a little less experienced in the mountains. Even though I am a climber, I still did in-person research at the actual rock climbing locations in Colorado and England, and in-person research of the actual locations in Seattle, Oregon, Muir Woods, Stinson Beach, and other California locations. It’s cool to do on-location research, especially driving from Santa Cruz to Seattle via the PCH. There is some scenery there that I wish everyone could experience. I don’t want to give anything away, but Craig has a few encounters that some might classify as spiritual. What are your feelings on the matter? Craig is a whiz kid who put his feelings away after the childhood trauma in his life. For a peak into that trauma, readers might consider the psychological examination in The Keeper, a short novella about a young boy who faces unspeakable horror as a child. Since Craig put away his feelings, and since he went into programming, his world continued to shrink and shrink until it was just video games and Stacey. The crisis Craig faces in The Pattern forces those repressed feelings back to the surface to where he has to face them. He has no frame of reference and no spirituality of his own, and thus he struggles mightily to even acknowledge what is going on. Luckily, Stacey has moved him into the wide open majestic spaces of the mountains where Craig becomes open to new experiences. I agree with your question that these encounters are spiritual. My feelings are that there are connections that we cannot explain, that we can only experience. Craig has these experiences which finally make him realize that it’s not all about him, that there are bigger things out there. His guilt and pity had blinded him to the fact that other people have feelings too. The spiritual encounters remove those blinders. I am working on marketing G1, a book about a young girl who was bullied as a child. As a result of the bullying, she turned inwards, to athletics and computer hacking. She becomes abnormally proficient at both. When she decides to hack a casino while training for a triathlon, she encounters unexpected complications, both technical and personal. The book deals with how her psyche was damaged by the bullying, and how as a young adult she has to try to reconcile her two vastly different worlds. 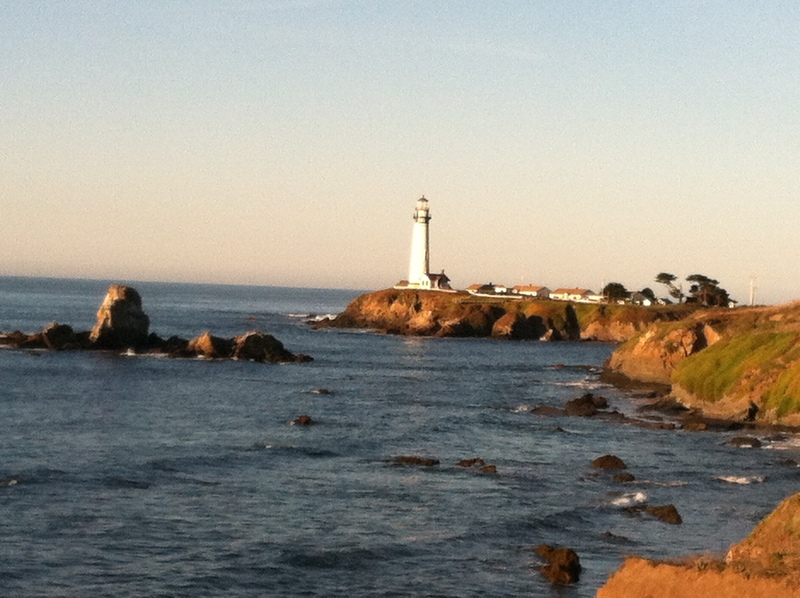 I’m also writing The Point, a book set on the California coast, where Charles Ginetti has just met Sierra Marner at Pigeon Point lighthouse. They are just experiencing the first hints of new love, so it’s a very exciting time in that book. Any last words for your readers? Thank you for reading the books, for writing reviews, and for the emails about the characters and the stories. I read each and every email and eventually respond to every polite email. (The hate mail does not get responded to…) Also, I encourage the readers to check out other independent authors (“Indies”). There are some fantastic new writers out there that can entertain you! Thanks J.T. Here’s wishing you all the best. This entry was posted in books/book review, Interview and tagged author, book review, interview on June 15, 2012 by Sadie. Joining us today is Indie YA author Ann Haines. Thanks for being here today. Why don’t you start off by telling us a little about yourself and your book? First of all, thanks Sadie for the interview and the review. Both are greatly appreciated. Well I’m a debut Indie Author finding her way slowly but surely through the self-publishing world and enjoying it as I go. I have been writing since I was a young girl, even illustrating my younger works too. It took me two and a half years to finish my first novel but it was actually ten years in the making. So I guess you could say I’m patient too! 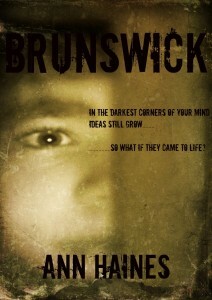 Brunswick is my debut novel. It’s a YA Fantasy, I think it would fit in the Tween genre as well though. It follows the story of a teenage boy who wakes up in a strange place bleeding and scared. He has no idea that when he meets the people who have been looking after him, that he will then be asked to save the land he has woken up in. With people trying to kill him left, right and centre his journey becomes perilous and the allies he meets along the way are not the kinds he is used to. In the final epic battle he must become more of a man than he has ever needed to be to conquer the hooded figure that has been haunting him. What will he do when the hood comes down and he faces his biggest challenge yet? 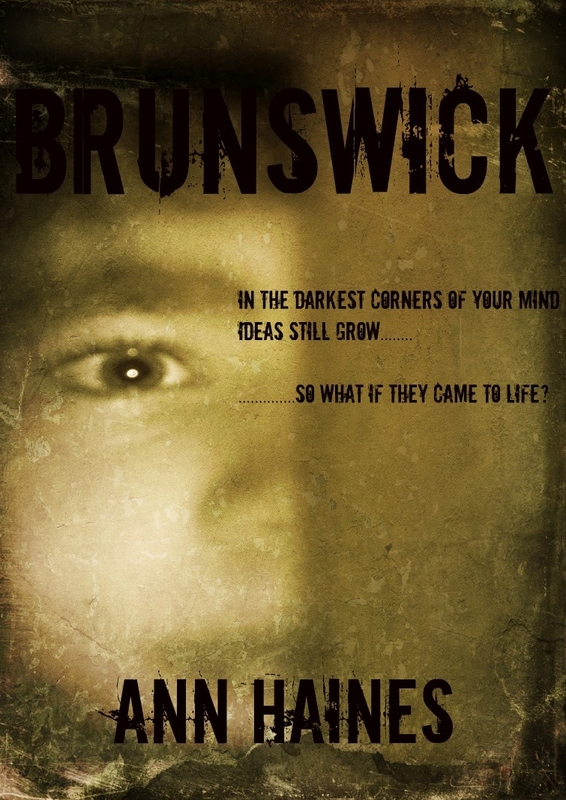 Brunswick has a certain appealing innocence despite the characters’ darkish mission. Was this purposeful? Oh absolutely. Our innocence is something that we lose so quickly as we grow up. I am a strong believer in the fact that we all have an innocence about us at every age. There is always something new to learn and so every age should be enjoyed for what it is. No matter how old we get I think we all are able to feel the joy we had when we were teenagers, that’s something we should never let go of or stop reminiscing about. Even the tough bits! Jonathan’s journey is one that I think we can all enjoy and understand at some level. The book is dedicated to the real-life Jonathan. How much alike are he and the character? Very! Jonathan is my son and he is a little younger than the Jonathan in the book but other than that, they are peas in a pod. He is very creative and has no problem being himself. He’s brave and very down to earth, he loves his friends too. Oh and he is a great big brother to our daughter Annie! Actually I kind of see myself in Sebastian. 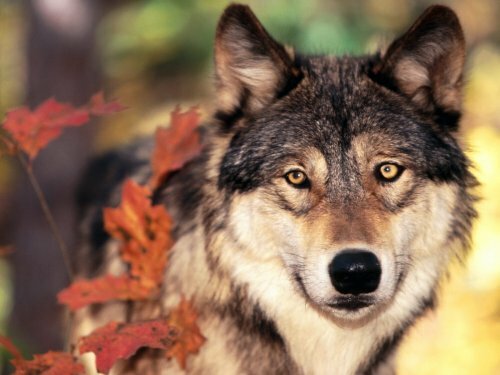 I realise he is a Dog Lycanthrope but his personality and his outlook on things is very me. I try to be the voice of reason and see things from both sides and also I don’t have a ‘stand by and watch’ attitude. When I was writing Sebastian’s character and his dialogue I found myself writing exactly what I would say in that moment. There is a special place in my heart for Sebastian. Do you remember where the initial inspiration for the story of Brunswick came from? Oh yes, again it was my son. I used to watch him play and I was fascinated by the way he created a whole world from just his bedroom. When he was about 4 years old he used to bring me in to the game and I just loved it. It got me thinking that what if these things were really real, I mean who are we to say they aren’t? Just because we can’t see them doesn’t make them any less real, especially in the mind of a child. I ran with that idea until Brunswick was born. What does your writing day look like? Are you a morning, afternoon, or night person? Well there are days when I start working during the day but sometimes the flow isn’t quite there so I’ll go away and come back to it when I’ve got the blood pumping to my brain more. Sometimes I’m lucky to have a really good flow going and I will write until the flow is broken or until I just can’t keep my eyes open. Of course, I am a mother of two so I will only write while the kids are at school, asleep or any other reason they might not be with me. I am also a cake designer, a job I do to help fund my self-publishing journey, so I have to fit it in around that too. Do you generally read one or multiple books at the same time? What are you currently reading? I love to read! I will read as much as I can whenever I can. However, when I am writing I stick to one book at a time, brain overload is no good for me and obviously I will always want to focus more on my own work. 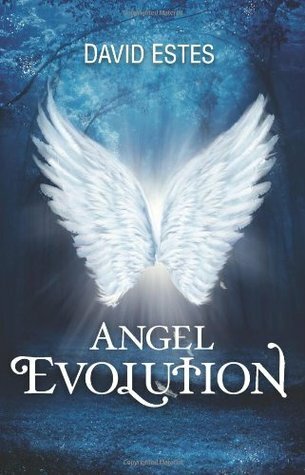 I am editing my second novel at the moment so I am at a one book limit and I am reading Angel Evolution by David Estes. What is next for you? Do you have a new project you would like to tell us about? Well my second novel ‘Mary’ is being released on 6th July. It’s a YA Paranormal novel based on the Bloody Mary urban legend. I love urban legends so I decided to put my own little twist on my favourite one. Do you have any last words for the readers, advice, admonitions, reminders, requests? Read what you love, but give everything a chance. An open mind will keep you young and stops boredom. Lastly the most important thing, thanks. A writer without readers is like a garden without sunshine…… it just can’t grow. So thanks for reading my books and supporting me through my growth. I am as always so very grateful. Thank you for answering my questions Ann and I just have to add that I love the new cover. It’s a big thumbs up from me. Synopsis: When Jonathan wakes up beside a lake bruised and bleeding, he has no idea how he got there or where “there” really is. Taken from his life and asked to save a land he knows nothing about, from a menacing hooded figure, Jonathan must learn quickly to survive. As he struggles to stay alive long enough to get home he is faced with a deadly choice, Join It or Die. And when it becomes clear that so many would do anything to kill him he must stay close to those who would kill for him. To stay alive and get home he must face the one thing he never wanted to, the figure in black. And when the hood comes down Jonathan is faced with a revelation that could break him and destroy everything he has fought for. Brunswick put me in the mind of The Never Ending Story or maybe a modernized Narnia. I’m fairly sure I’m not the first person to make the comparison, but that just further supports the similarities. Jonathan and his family are about as ideal as you can imagine, everyone loves each-other and is comfortable expressing it. So it isn’t surprising that Jon’s overriding desire is initially to get home. But because he comes from a strong, loving family that has taught him to do the right thing he can’t turn a blind eye to the suffering around him. It is easy to see the influence of his home-life in the decisions he makes, and this serves to make his emotional transition believable. He meets a whole host of interesting characters in the new land of Brunswick. This is my favorite aspect of the book. Haines really lets her imagination go wild. The variety of species is a lot of fun. That they are initially reluctant to combine their resources serves as an allegory for the manner in which racial or cultural segregation weakens a society or cause. The story does tend to leap periodically. I would have liked for it to have progressed a little more smoothly, but I didn’t find this so jarring that it put me off in any manner. If you are looking for a story with a contagious innocence that reminds you of what is good in the world, this is probably the one for you. 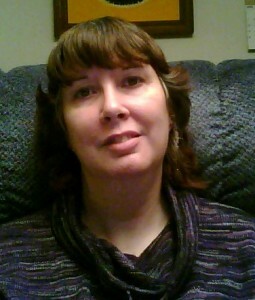 This entry was posted in books/book review, Interview and tagged author interview, book review, interview on June 8, 2012 by Sadie. 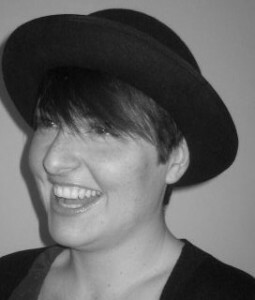 This entry was posted in books/book review, Interview, writing and tagged author, book, interview on May 23, 2012 by Sadie.